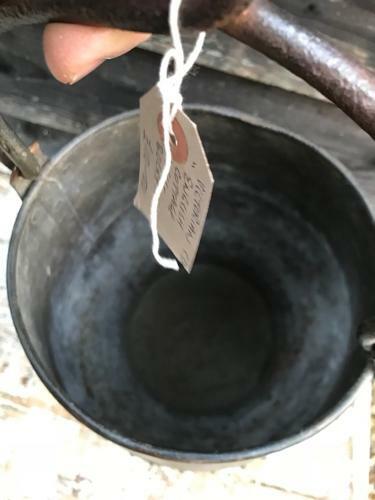 English Well Bucket of small size, complete with folding handle. Typical 'English Waisted Design' with rivets sides. Ideal for logs coal, kindling wood, dog food etc.